Anthony Davis’s trade request should come as no surprise to any half-observant fan of both the young superstar and the NBA. It has long been known he wants to win championships. The New Orleans Pelicans were never going to give him that. Not today in a league of big threes, fours and fives. Davis’s heart and his loyalty may be privy to slander, the legitimacy of his future accomplishments called into question. Some fans will blame the New Orleans Front Office, their inability to afford him the necessary coach and pieces. But as a small-market organization with no banners hanging in the Smoothie King Center or a history of signing big free agents, the Pelicans’ track record is hardly shocking. In the league’s current climate, only a handful of franchises have the means to entice the superstars they draft into re-signing. New Orleans had it that much harder with Davis, a generational player whose out-of-this-world talent has garnered big-market franchises’ attention since being drafted back in 2012. 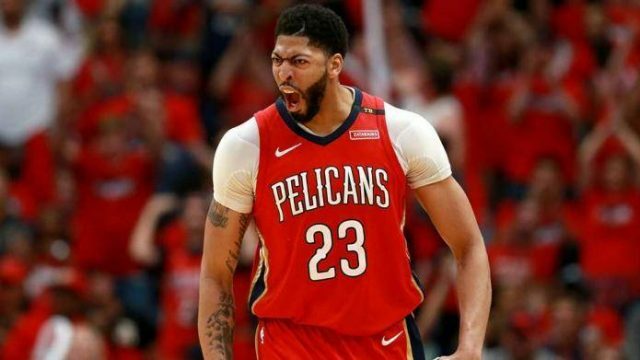 With Davis’s prime fast approaching and title contention appearing nowhere on the Pelicans’ timeline, the growing weight of his championship aspirations demanded a change of scenery. Shaquille O’Neal franchise-hopped in his pursuit of championships twice. Kevin Garnett validated this precedent when he moved to Boston and won his only championship. LeBron James, unaided and exhausted by the Cleveland Cavaliers’ perennial playoff defeats took his talents to a talent-loaded South Beach. Kevin Durant went one step further: with the now five-all-star starting Golden State Warriors and back-to-back Finals MVPs to his name. For these premier superstars, there has always been a potentially haunting call of legacy. An inner conflict founded in maximizing the hall of fame potential prophesied on their draft nights, while still endeavoring to please the scores of fans and media. Golden-age fanatics scorn the ring-chasing paradigm, but does it not feel almost blasphemous to imagine Shaq without his four titles? Or a sweat-soaked Garnett never screaming “anything is possible” as the confetti rains down over the Boston Garden? Had LeBron’s fateful decision never gone forward and his title-less tenure with the Cavaliers endured, would his name be linked so closely to Michael Jordan’s? Winning will always be the door opener to true greatness, the unquestioned drawer of the line which separates the likes of Tim Duncan from Karl Malone, the career of Kobe Bryant from that of Allen Iverson. All but a handful of franchises are now hostage to the league’s super-team agenda. This is actively facilitated by the era of social media and previously unseen player empowerment – if a player is unhappy, one tweet and the world will know it. The pressure does not stop there, thanks to an exploding salary cap; the signing of three-plus all stars no longer requires half the circus manoeuvrings of yesteryears. Players now expect owners to spend largely in order to compete. For the less historic and affluent teams around the league, more questions and no answers arise from the star power forward’s trade request. How does Adam Silver propose to juggle player autonomy with that of different sized franchises with varying levels of free-agent appeal? What more can be done in regards to a salary cap that permits (if not encourages) the construction of super teams? The Warrior’s dynasty proves that for some owners, mammoth taxes on their roster spending are nothing to flinch at. As for Davis, he should not be blamed for his decision. He is a transcendent talent acquiescing to not only a well-established precedent, but to his and everybody else’s expectation to win. He wants his name among the game’s greatest of greats, the ring-wearing Goliaths that consistently rank in everyone’s top ten. Now he is on a path to making that desire a reality – the only path. Lucas Pearceis a journalism student at the University of Technology, Sydney. He hopes to one day cover the NBA.